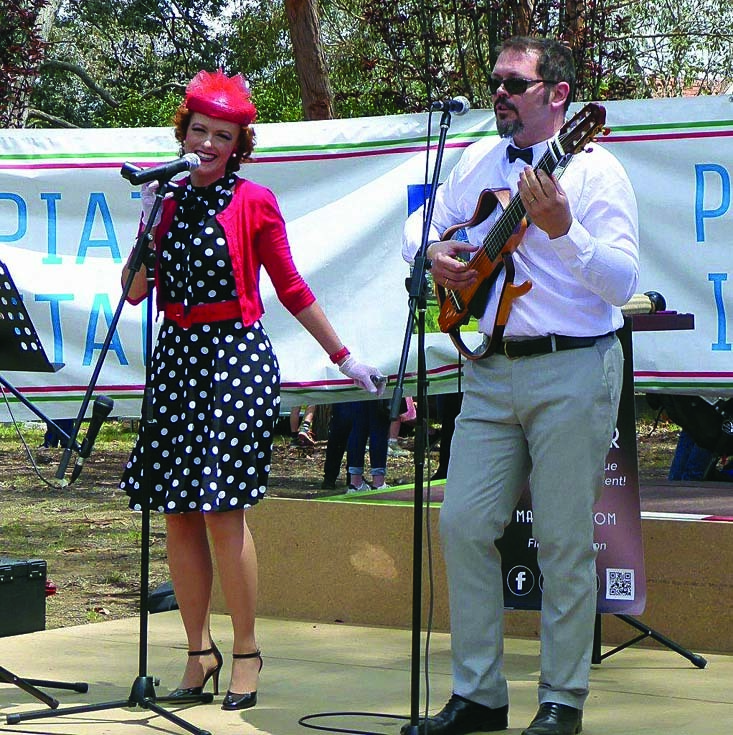 Canberra’s Italo-Australian community celebrated Vivre all’Italiana, a week-long occasion in honour of the Italian lifestyle, from November 18 to 25. This year the popular Festa Italiana, which was held in the gardens of the Italian Embassy between 2015 and 2017 and organised by the Italian community, was replaced by a series of events organised by the embassy itself. The Italian Chamber of Commerce and Industry, international school of cooking ALMA, Design Canberra Festival and Comites Canberra also assisted in organisation of the event. The scope of the festival was to promote Italian brands and products and the Italian way of life! 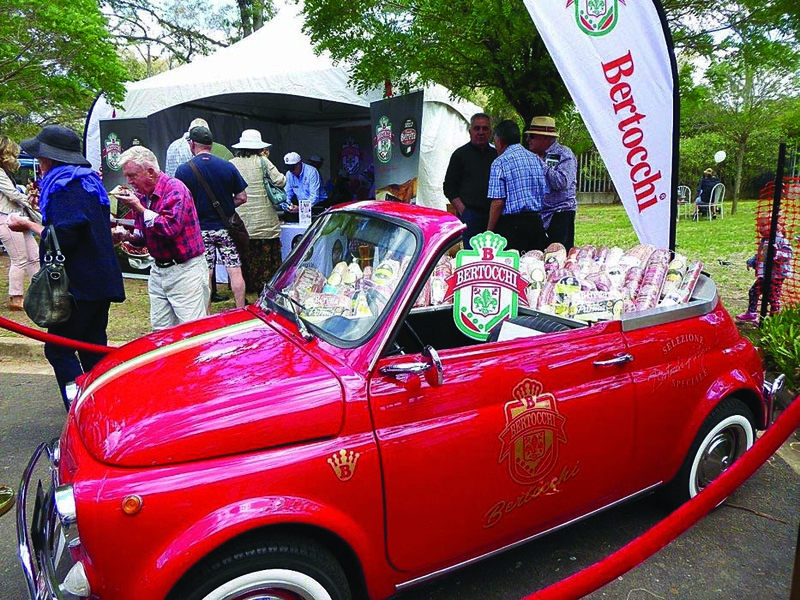 The highlight of the week was on Sunday, November 25, which saw festival stalls erected by the main sponsors (Barilla, Bertocchi-Beretta, Lavazza, Ferrero, Campari) and various stands organised by the Italian community of Canberra with the help of Comites. 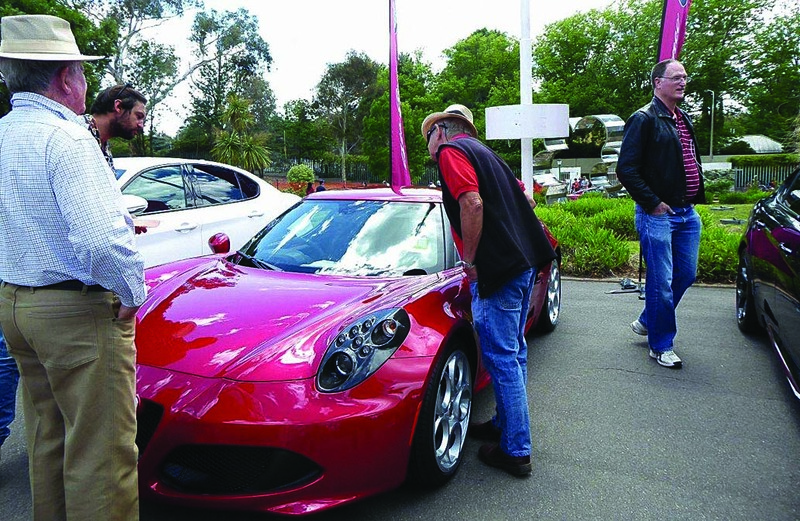 More than 3000 people enjoyed the event, visiting the gardens and admiring the very beautiful Alfa Romeo cars, eating Italian food, listening to Italian music, visiting the residence in a series of guided visits, and assisting in culinary demonstrations – with the bonus of taste-testing the final product. The efforts of around 40 volunteers from the Italian community were extremely commendable; they worked hard to bring together the event. Volunteers erected the food stalls (serving gnocchi, pasta, lasagne, arancini, sausages and sweets), and assisted in the organisation of beverages and the live music stage. Throughout the day everyone was present to help resolve logistic problems, plus sell food and drink, provide information to the punters and organise the musical program. Bilingual school Yarralumla Primary School was present with a stall selling Italian biscuits made by the mothers; the funds raised are to be used to buy didactic resources for the children. Two culinary demonstrations by Michelin Star chef Matteo Vigotti proved to be very popular. Vigotti has been collaborating with culinary school ALMA over the last year in Italy, but two months ago he moved to Sydney where he intends to open a restaurant. 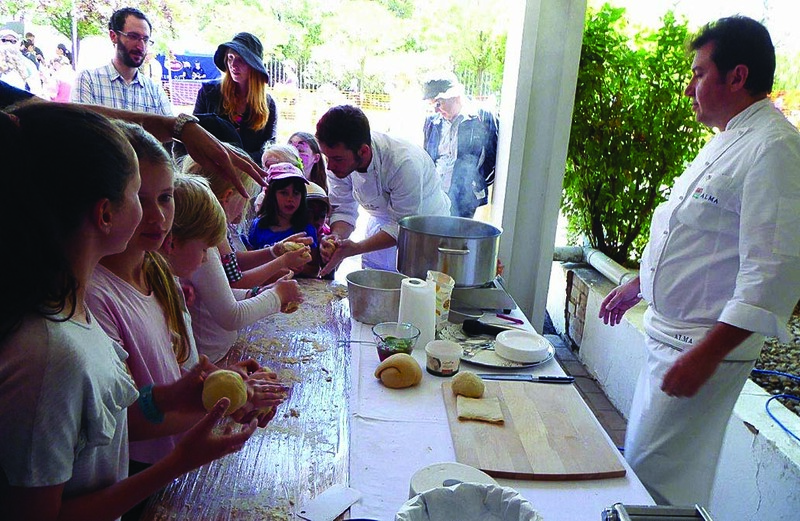 Other than these two demonstrations, Vigotti gave a private lesson to students of the bilingual school, teaching them how to make fresh pasta while having fun, as well as another lesson to students of Telopea Park school, where Italian language is also taught. Twelve guided public visits were made to the residence, plus two organised private visits: one for students of the bilingual school and another for Italian teachers. The three tour guides – who were knowledgeable on every detail – were Gabriella Quadraccia, Anna Rita Tamponi and Anna Maria Fioretti. Musical entertainment was provided by accordionist Francesco Sofo, Duo Majazzter from Sydney, the choir Dante Musica Viva and three tenors from the chorus: Giovanni Andriolo, Livio Chicco and Saverio Palma. Under direction of the maestro Francesco Sofo, the chorus began with two national anthems, followed by a variety of popular songs and arias, including Mattinata, Funiculì, Funiculà, Calabrisella, Ciuri ciuri, Arrivederci Roma, ‘O sole mio and Libiam. Energetic and lively Duo Majazzter (Minie and Ermanno) performed three times over the course of the day with a vast repertoire of Italian songs arranged in the jazz style. The duo – true professionals in music – was greatly appreciated by the public. Reflecting on the day, president of Comites Franco Barilaro – who coordinated community involvement for this event – affirmed that “this year, thanks to the precious collaboration of many, and with little time at their disposition to organise the event, we were able to make an event of great success with more than 3000 participants... once again we were able to showcase how the Australian and multicultural communities are attracted by Made in Italy, with Italy being the most beautiful country in the world”. Barilaro wished “to thank the community from Festa Italiana as well as the volunteers, plus Italian choir Dante Musica Viva, Minie and Ermanno from Duo Majazzter, who are always available and accommodating, sponsors of the event and chef Matteo Vigotti who with his course ‘Hands in Pasta’ taught children from the Yarralumla Bilingual Primary School how to make fresh pasta, while having fun”. Barilaro gave a particular thanks to Palmira Piersimoni “for his courtesy and hospitality, and for allowing us to use his kitchen”. The day’s profits will be allocated to the Italian Cultural Centre of Canberra, the Yarralumla Primary School and to the new Italo-Australian Community Services association. 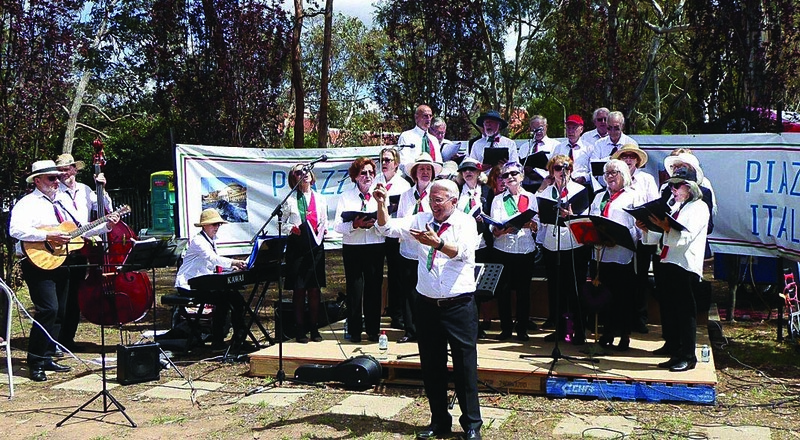 Overall, it was a very positive day, which is set to become an annual tradition for the Italian community of Canberra. Goodbye until next year, when new ideas and inspiration will surely attract an even greater number of visitors. This story appeared in the Monday December 3, 2018 edition of La Fiamma.